Darke County Center For the Arts. 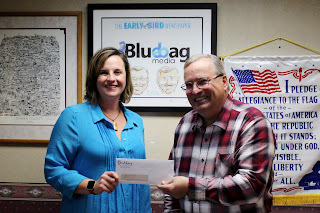 The Early Bird and Bluebag Media are publications of Brothers Publishing. 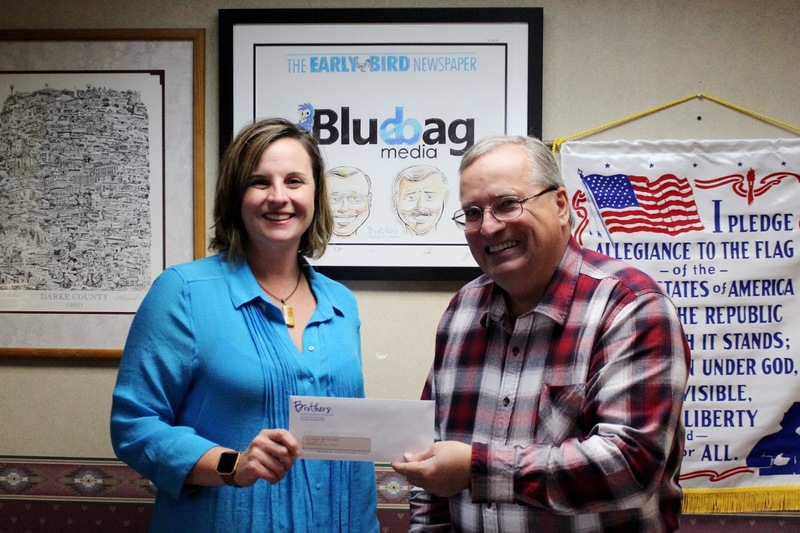 The Early Bird was founded in 1968 and is delivered to over 27,000 homes each week. From their beginnings singing as a collegiate hobby, Six Appeal has evolved to become an in-demand act that performs everywhere from college campuses to state fairs to theaters and classrooms. Consisting of Andrew Berkowitz, Michael Brookens, Nathan Hickey, Reuben Hushagen, Trey Jones, and Jordan Roll, the group has become known for their vivid musical style, unmatched energy, and playful charm. Their repertoire spans decades and genres, and includes pop, country, classic rock, jazz, rhythm and blues, and more. Tickets for the 8 pm show cost $20/$10 students, and can be obtained by calling 937-547-0908. Tickets are also available online at www.CenterForArts.net or may be purchased at DCCA's office located within Greenville Public Library. Tickets will also be available at the door prior to the performance. Six Appeal will also present their educational outreach program for junior high students in four performances at Henry St. Clair Memorial Hall on November 2 and 3; these presentations are free and open to the public. Contact DCCA for more information regarding specific show times which are scheduled in coordination with local schools. Thanks to community support Darke County Center for the Arts has presented an Artists Series at St. Clair Memorial Hall, for over 35 years, featuring outstanding professional performing artists, right here in our own backyard. The Artists Series continues in 2018 with Rhonda Vincent & The Rage on January 20th and Toledo Symphony Orchestra's Pops presentation featuring special guest Connor Bogart on May 19th. Tickets are currently available for all upcoming DCCA events. For more information on DCCA, the and the 2017-2018 ASRTS COUNT season or to purchase tickets for an upcoming event, contact the DCCA office at (937) 547-0908 or visit us online at www.CenterForArts.net.